India’s IT expenditure is projected to reach $89.2 billion in 2019 with devices and enterprise application software emerging as key drivers, according to a report by market research firm Gartner. This would mark an increase of 6.7% from the estimated spending of $83.6 billion for this year. The report said that IT spending in India continues to be driven by digital business transformation initiatives from both private and public organisations. Both sectors have become adaptive to business model changes and bringing in new practices, developing new capabilities and creating new ways to succeed in the digital world, the report said. 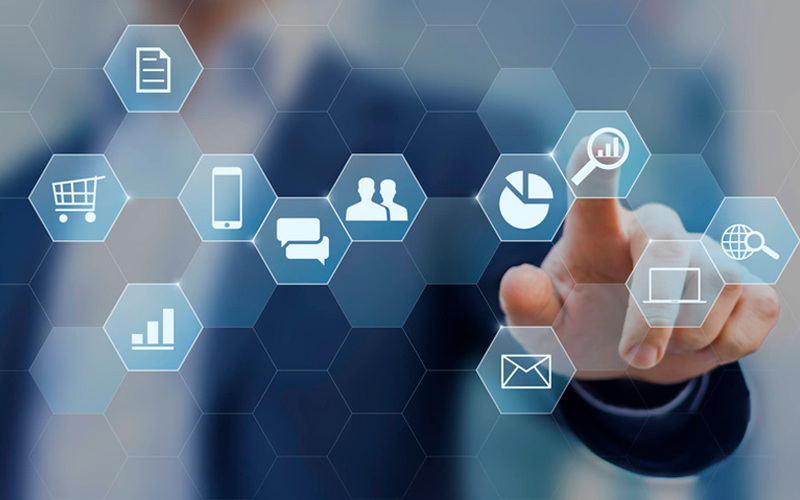 John Lovelock, research vice president at Gartner, said that an increased focus on providing better customer experiences would be one of the key factors behind increasing expenditure on enterprise software applications. “The software-as-a-service market is driving growth in almost all software segments in India, and the customer relationship management SaaS market in India is among the fastest growing in the world. Overall, enterprise software spending is forecast to amount to $6.3 billion and grow 12.9% in 2019,” Lovelock said. Ganesh Ramamoorthy, managing vice president at Gartner said that spending on devices (PCs, tablets and mobile phones) is set to total $33 billion in 2019, a growth of 7.4% year-on-year. “Mobile phones are contributing to the growth in the segment, and their growth is led by the continued shift from feature phones to smartphones,” Ramamoorthy continued, adding that India has recorded the third-fastest device market growth behind Indonesia and South Africa. 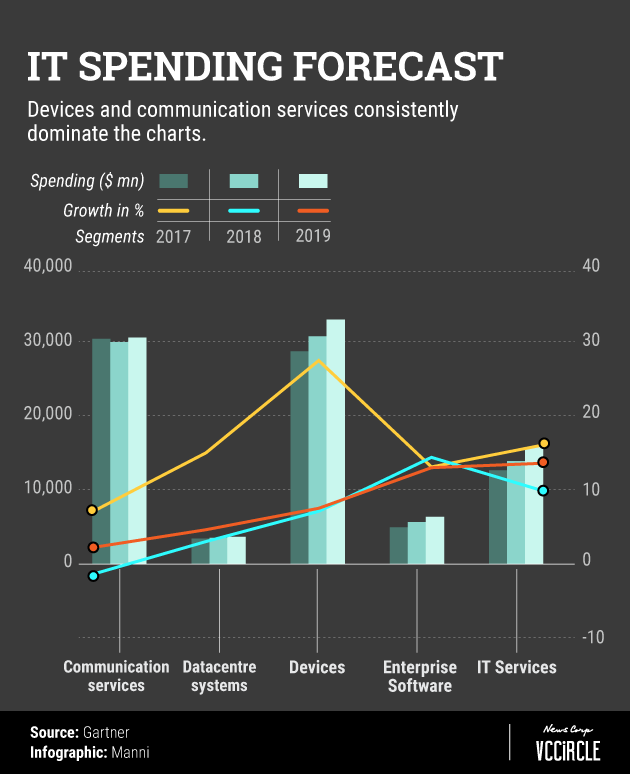 Spending on IT services is expected to see the highest growth with a 13.5% increase year-on-year, the report said. While the business process outsourcing (BPO) segment is projected to reach $1.7 billion and is on track to achieve 18.5% growth in 2019 — the highest in the IT services segment — the consulting segment is expected to reach $4 billion — a 15.9% increase in 2019. “The IT buying pattern in India signals the increased use of cloud services by organisations,” said Partha Iyengar, research vice president at Gartner. “Instead of buying their own servers, organisations are turning to the cloud. As organisations continue their digital transformation efforts, shifting to ‘pay for use’ will continue. This sets organisations up to deal with the sustained and rapid change that underscores digital business,” Iyengar said. In a separate development, Gartner also predicted that the global spending on robotic process automation (RPA) software is expected to reach $680 million by the end of 2018, an increase of 57% year-on-year. The biggest adopters of RPA currently include banks, insurance companies, utilities and telecommunications companies. “Typically, these organisations struggle to knit together the different elements of their accounting and HR systems, and are turning to RPA solutions to automate an existing manual task or process or automate the functionality of legacy systems,” Tornbohm said. According to the market research firm, RPA software spending is on pace to total $2.4 billion in 2022.